The past two weeks have honestly been terrible. I have had some sort of crud that started out as a sinus infection and ended up being bronchitis. After two rounds of antibiotics, I was finally prescribed an inhaler, which has been a breakthrough for me, but I am still in the recovery process. 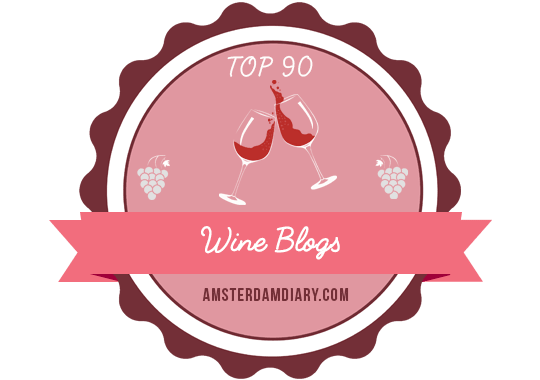 I have not felt like writing since the beginning of the month, which is why many of my recent posts have been to redirect you to my winery reviews at American Winery Guide that were written in September and October. I hope that you will read those, as I am excited to share with you some of the best winery visits available in the United States. I will also continue to post these reviews via my blog so that you do not miss them. Finally I feel well enough to share some wines from the last few weeks. I am designating these wines as Beth’s Smart Sips because they range in price from $12 to $24 and are great QPR (quality-to-price ratio) wines to see you through the holidays and beyond, especially if you have a tight budget like me. Enjoy! The fruit for Le Petit Coquerel Sauvignon Blanc comes from the estate vineyard in Calistoga and an organic vineyard in Yountville. The grapes are fermented and aged in stainless steel, sur lie, for seven months. This is definitely a warm-climate sauvignon blanc, with dominant flavors of sweet tropical fruits like melon and papaya. The sur lie aging adds richness and weight to the palate. A holiday wine need not break the bank. A good, inexpensive pinot noir is hard to find, so why not go garnacha/grenache? The 7 Navas Joven from the Alto Aberche Valley in Spain is $15 and packs a lot of punch with its combination of cranberry and raspberry fruitiness, herbs, cinnamon, and spice. It is everything nice. I paired this with leftover Thanksgiving turkey and stuffing. Never underestimate garnacha. This is my second time tasting an edition of this wine, Austin Hope’s tribute to his mischievous youth. Troublemaker is fun and delicious, amping up the wow factor as a proprietary red blend of 71% syrah, 16% grenache, 8% zinfandel, 3% petite sirah, and 2% mourvèdre. It is a lot of bang for the buck with its rich color, floral nose, bold red and black fruits on the palate, and peppery spice on the finish. Look out, here comes trouble. One of the most distinctive blends I have discovered, the Passaggio Wines 2014 Passion Blend is 40% chardonnay, 40% pinot grigio, and 20% roussanne, fermented and aged in stainless steel. While the roussanne is the smallest percentage of the blend, it dominates the nose and palate with its pronounced floral aromatics, textured mouthfeel, and tropical fruit flavors. This wine is lush, plush, and fruit forward. At this price point, you can’t go wrong with the Centine Rosso which brings together the tangy, spicy, red berry flavors of sangiovese, the black fruits and tannins of cabernet sauvignon, and the softer roundness of merlot. Drink this with spicy, meat dishes, including pasta and pizza with pepperoni, sausage, and salumi. In my previous post, I shared a bit about the live wine blogging experience. There’s also a part two every year, live red wine blogging. This year, I tasted 11 wines in an hour, almost 12, but I ran out of time. I am not sure if a few of the producers shared some extra wines or what happened, but below is my wrap-up of this very intense tasting. What was really cool about this tasting is that there was more variety, including wines from Arizona, California, Georgia (the country), and Italy. In this post, the wines are ordered in reverse, from the last wine tasted to the first wine tasted. What can I say? It was easier to organize. Lesson learned from the last post.